JILL HENNESSY WILL YOU IGNORE THE LATEST RESEARCH AND CONTINUE YOUR IGNORANT HARMFUL POLICIES? JILL ‘HORRENDESSY’ HENNESSY WILL YOU IGNORE THE LATEST RESEARCH AND CONTINUE YOUR IGNORANT HARMFUL POLICIES? JILL, ARE YOU A SHILL? BECAUSE IF YOU ARE NOT, NOW IS THE TIME TO DO YOUR RESEARCH. 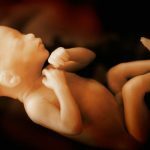 AFTER YOU IGNORE THE LATEST SCIENCE YOU ARE KNOWINGLY AND WILLINGLY MAIMING AND KILLING CHILDREN! DON’T BE A SHILL, JILL! 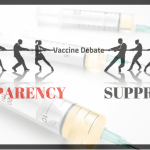 IT IS TIME FOR A MORATORIUM ON VACCINES AND THE SCIENCE BEING EXAMINED! It is the time that Victorians, Australians, and people around the world call out one of the political faces of the medical holocaust. Jill “Horrendessy” Hennessy is the Victorian minister of health. She has publicly stated multiple times that vaccines are completely safe and effective. Her boss, the premier, Daniel Andrews and Jill herself have stated that the “science is in” and people just need to shut up and vaccinate their children. Jill proclaimed that there is no risk in vaccinating your children on television. This statement would never be repeated by any medical professional as all professionals know that there is no such thing as a risk-free medical procedure. But Jill continued her message and proclaimed everywhere that vaccinations are safe and effective. A statement that directly counters the US Supreme court statement which states that all vaccines are unavoidably unsafe. Many people with vaccine injury in their family, in their friends or themselves, were rightfully angry about these statements from a health minister. Shouldn’t a health minister keep the population safe, not try and maim them? Many spoke up about these statements and Jill was a hot topic in many vaccine-related groups on social media. Jill countered this by going on the record saying that the “anti-vax” community had attacked and threatened her. This was swiftly debunked and it was proven that Jill or her cohorts had actually fabricated some of the tweets she read out on national television. 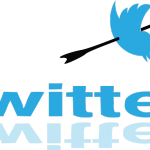 You can read all about the Tweet Saga on the Truth Library. Articles were written, press releases sent out and it was shown without any doubt that Jill Hennessy had lied on television. Nothing happened, the mainstream media remained silent and actively ignored this story of corruption. Jill showed her real face again weeks later when she liked a tweet from Philip Gluyas and his “nasty work” the AV-hitlist. Jill quickly realized that liking such a hateful and violence-inciting website would probably not be great for a minister so she deleted her tweet. But it was too late and the evidence was recorded. Again the mainstream media completely ignored this story. More about Gluyas and this story can be found here and here. Only a little time later Jill’s health department was caught out distributing a flyer which stated that it is safe to administer 100.000 vaccines at once. Citing research that never stated this and in doing so spreading dangerous, misleading and potentially deadly information. When the Truth Library called her out on this, Jill’s department quickly removed the flyer and pretended it never existed. 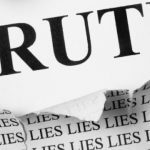 Even though all of this was documented in articles on the Truth Library. The mainstream media remained silent again. As was to be expected by the pharma controlled companies that run all the media outlets Down Under. A complete recap of Jill Hennessy’s lies, deceits, corruption and dangerous rhetoric can be seen here in the following video. But all of this has been almost a year ago. Jill remains the health minister of Victoria pushing the mandatory vaccination laws and attacking anyone who doesn’t agree that vaccines are safe and effective. She attacked chiropractors, doctors who speak out and is trying to deregister, destroy and blacklist a General Practioner in Melbourne who tried to help vaccine injured families. But in the last few weeks, new research has emerged. Reputable research from reputable scientists. 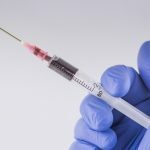 Stating that there might be a link between autism and vaccines after all. 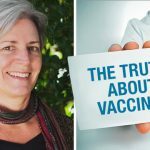 Research that completely stops the “all vaccines are safe” and “the science is in” crap that Jill and her boss Premier Andrews have been spewing out to the public. It is the time we demand that Jill Hennessy as health minister of Victoria proves why she thinks this is the case. She can debunk the research, she can admit she was wrong, but she can not keep up this rhetoric. The science is obviously not settled and it is the time we stand up for our rights to have real safety testing. A moratorium on vaccines until the science is clear. If there is the slightest chance that vaccines are responsible for autism. In any way whatsoever we need to get to the bottom of this. Autism is a horrible condition which ruins people’s lives. Autism ruins people’s ability to be a real part of society and the burden on the system and families to take care of these children and adults is way too large to be ignored. It is the time we as the people stand up to this evil woman and the system she represents. It is the time we stand up to the greed and corruption that is our health system. 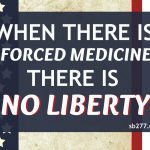 It is the time we make the media, politicians and pharmaceutical companies responsible for the damage they are creating. It is a large task to take down the medical establishment, but that is why we have to start somewhere and Jill Hennessy is the face of this evil. She has put herself out there to attack opponents and fight for the pharmaceutical companies. She is a lawyer. She knows that ignoring this science will make her liable. It is the time we show Jill we haven’t forgotten about her or her corruption! Jill please read the latest research on autism and vaccines and make a public statement about how the Victorian government will keep the Victorian children safe. If such statement is not made it will show that you are knowingly and willingly maiming children. Murderous treason if committed by an acting politician like yourself. You can not hide anymore! Vaccines are unavoidably unsafe! Are you knowingly and willingly acting though? That’s the question and your answer is due now. Read the research. Act accordingly. Take measures and precautions. 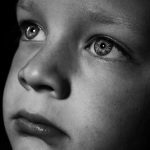 Or do you think it is OK to take a risk that will see some healthy children attract a lifelong debilitating condition? If not. The time will come that vaccines will be known for the evil they are and your name, Jill, will be going down like Goebbels, Hess, and Himmler’s of this era. Because you are an integral part in the medical holocaust being perpetrated as we speak. How many ruined children and adult’s lives will you be responsible for? Here is the link to this very important research. Don’t ignore it, Jill! Victorian hospitals are being run under bad management. Hospital managers in Victorian hospitals across the board need to replace with a competent new management team. Victorian hospitals are working under a low work ethic. Who is paying the bills here for the shoddy work performance of lethargic hospital medical staff ? Are there law suits pending against Victorian hospitals ? If there are this is a sure sign that …. People who have been wronged engage a law firm & seek justice & compensation. All this negligence is Bleeding the Victorian Health Budget. Who is responsible here ? 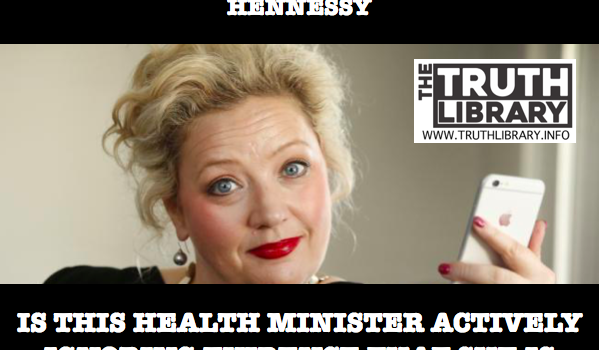 Why; if it isn’t the Victorian Health Minister Jill Hennessy. Why is the hospital system not working properly & efficiently Jill Hennessy ? My son pays big taxes to keep the system running efficiently.